I, like many, read the news of the Pope’s intention to resign on my Twitter feed first.There’s the usual mixture of ‘what? really?’, a sense of admiration,some criticism, and not a few jokes (ex-Benedict being one of them!). I have to say that I admire him for what he has said. Choosing to step down from something because you feel that you are no longer capable of fulfilling the role properly is not failure or unnecessarily ‘quitting’. It is showing wisdom. It has reminded me that so often we plug away at things in our lives when in reality we should have handed them on – for the good of others. And each person is different – age and circumstance will have a different impact on every life. I’m not Roman Catholic, but I respect the Pope for this decision. It’s not a common choice in his profession (or vocation), but perhaps it should be more common than it actually is. If we take our roles seriously in life, we need to take seriously our ability to make them work. Just my protestant two pence’ worth! I so agree, Lucy. Watching his predecessor carry on to the bitter end in such poor health was sad and unedifying and probably bad for his church. 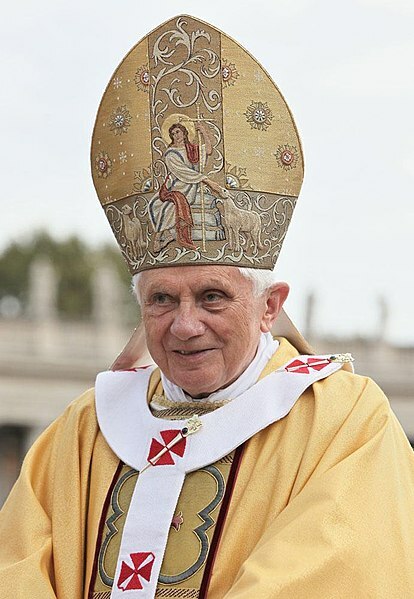 Let’s hope Pope Benedict has set a precedent others will follow. I think it takes wisdom and humility to admit that the time has come to give up such a position of leadership. I also wonder if his close association with Pope John Paul II in that period of time during which JPII was in declining health had an impact on him and this decision. Yes, that could well be so.